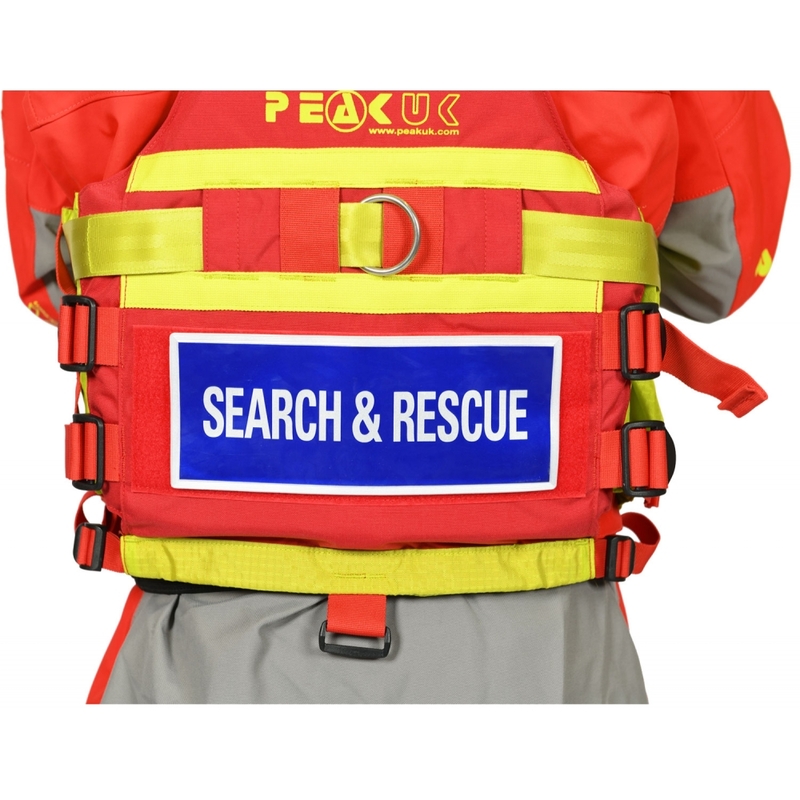 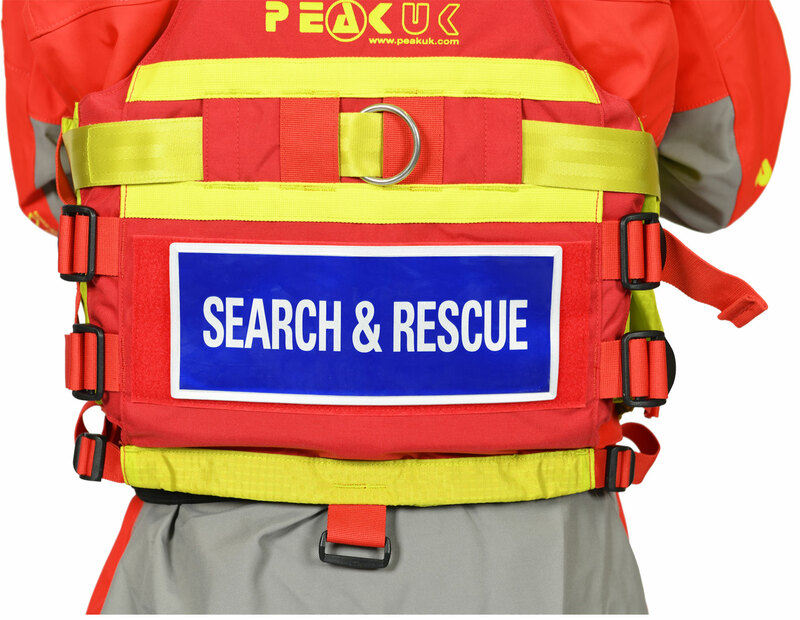 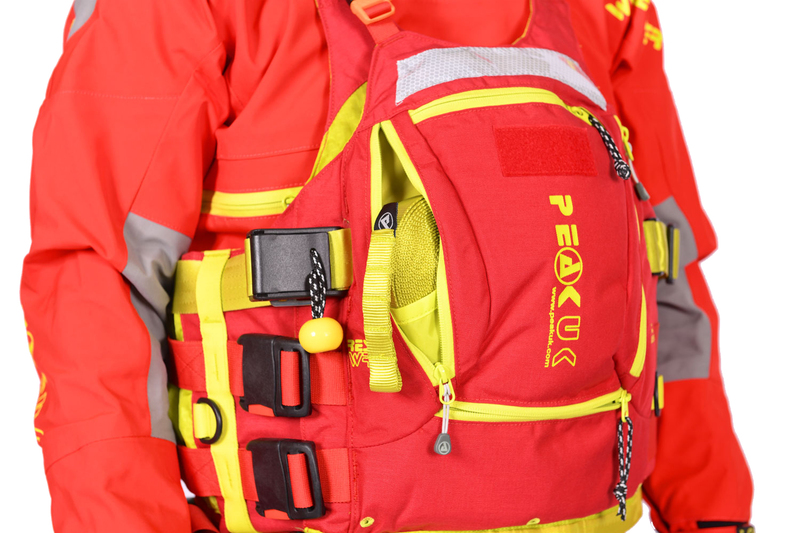 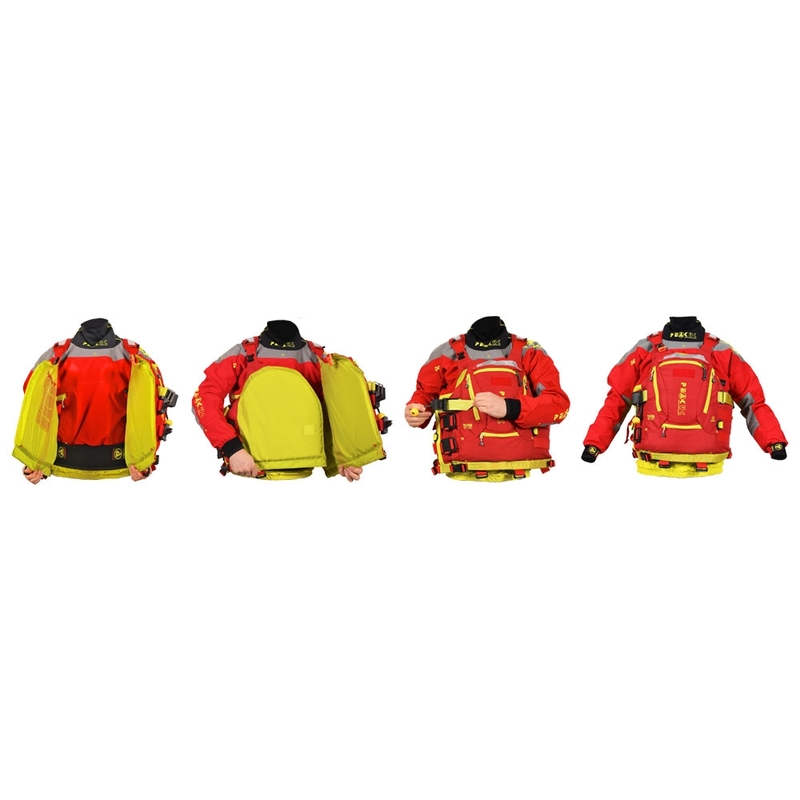 Utilising our unique wrap-around, front entry, the Rescue Wrap is the next step in safety & rescue PFDs. 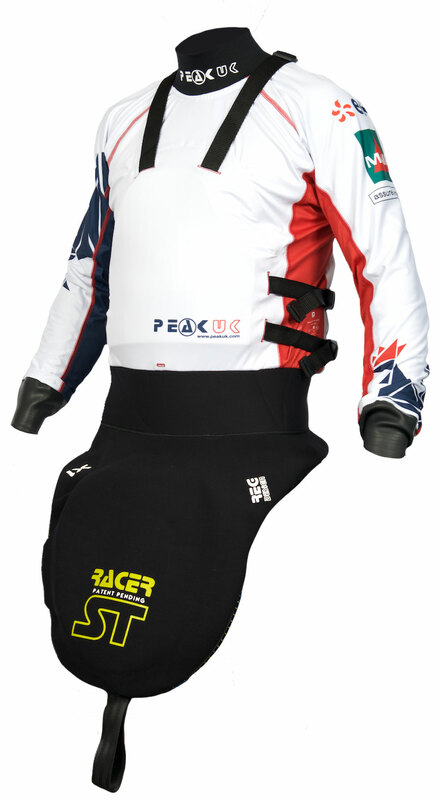 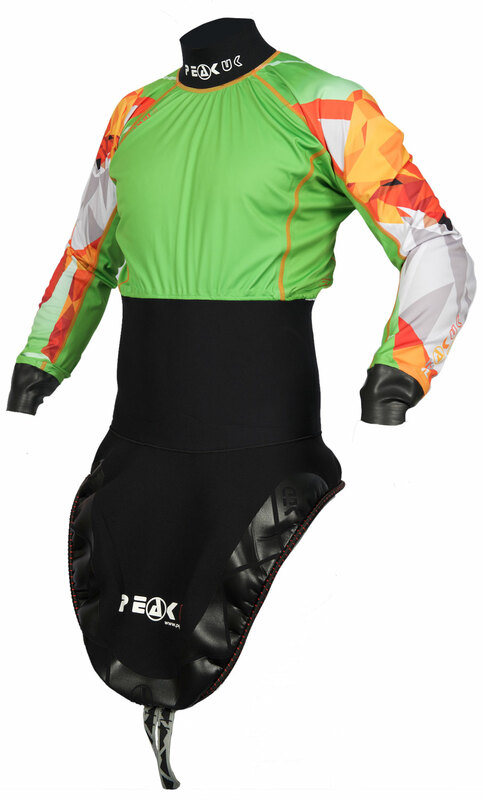 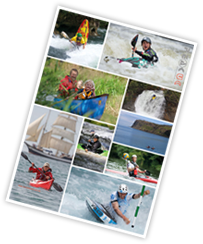 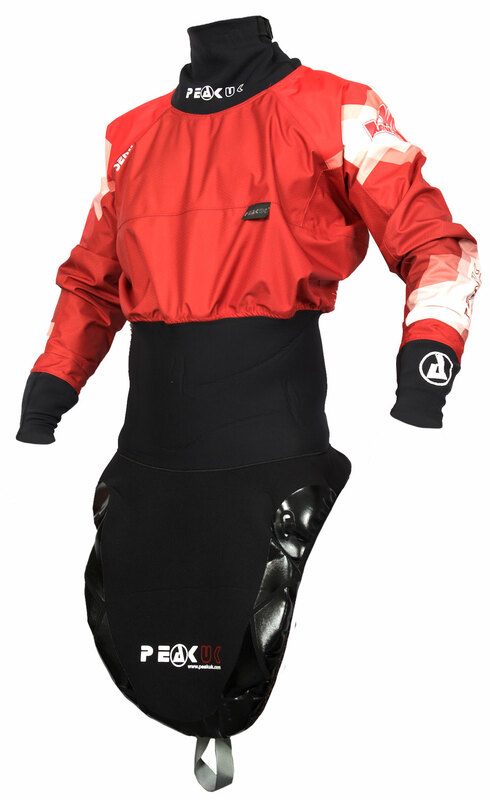 The innovative Wrapid Fit system allows easy entry whilst enabling huge, vest-style front pockets. 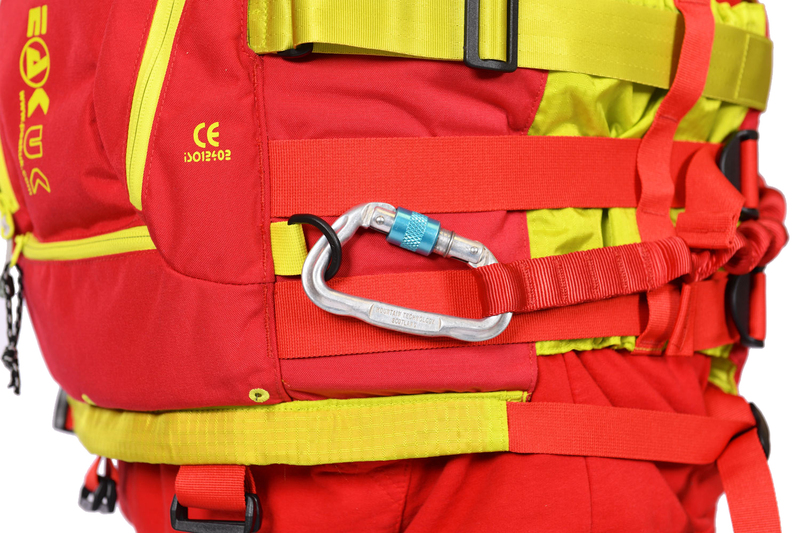 Conforms to the international safety standard EN ISO 12402. 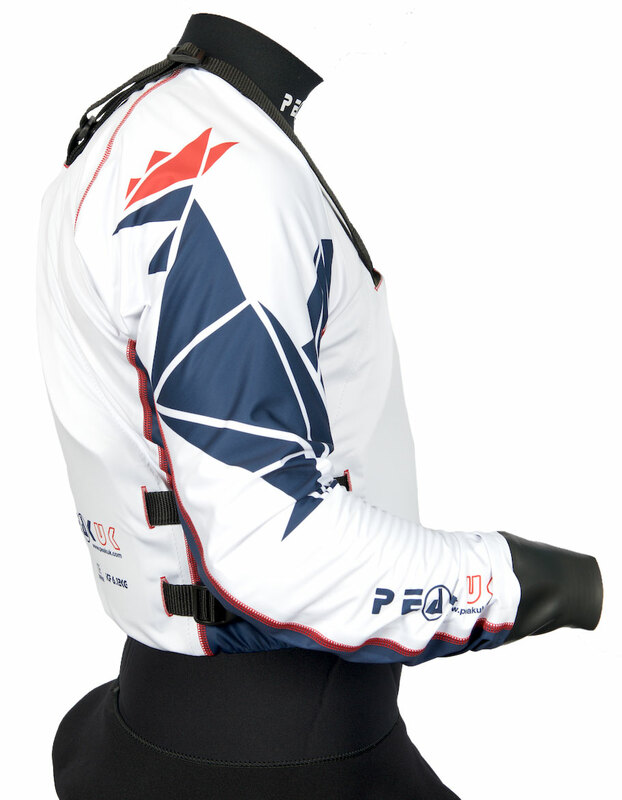 Close at hand shoulder whistle clip. 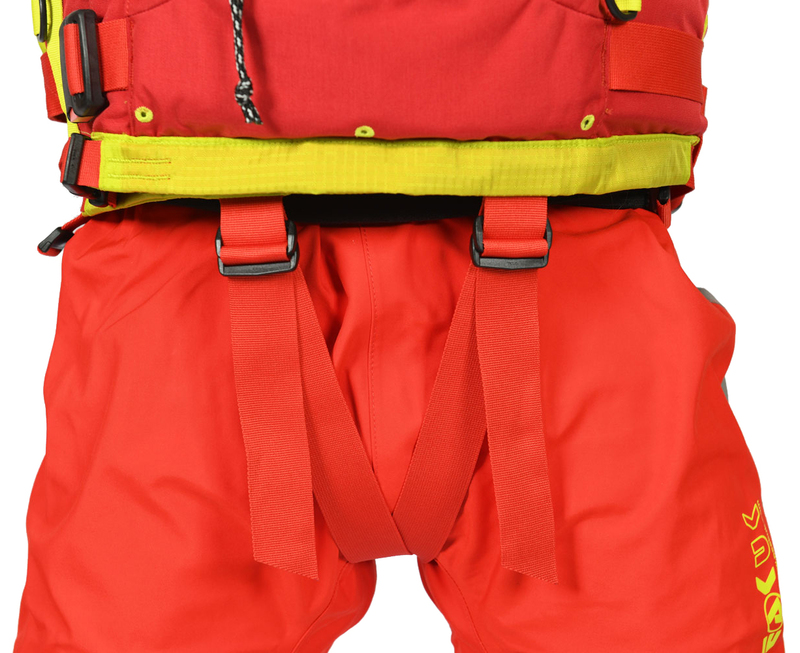 Left and right handed split D rings for cowstails attachments. 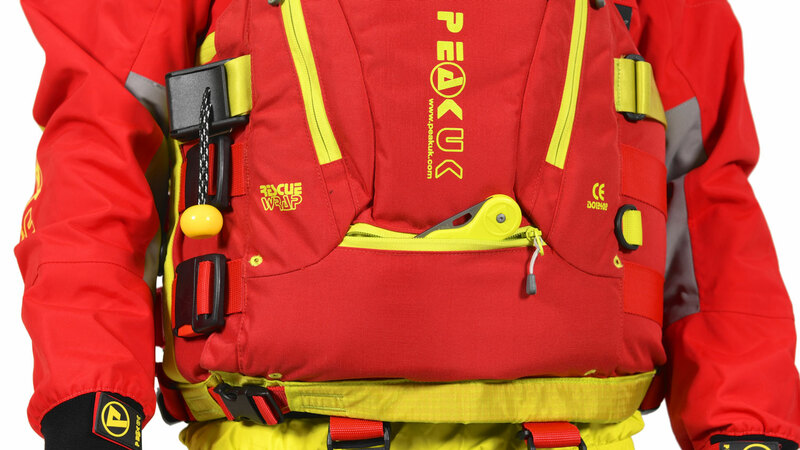 Horizontal zip, easy access knife pocket with gear clip. 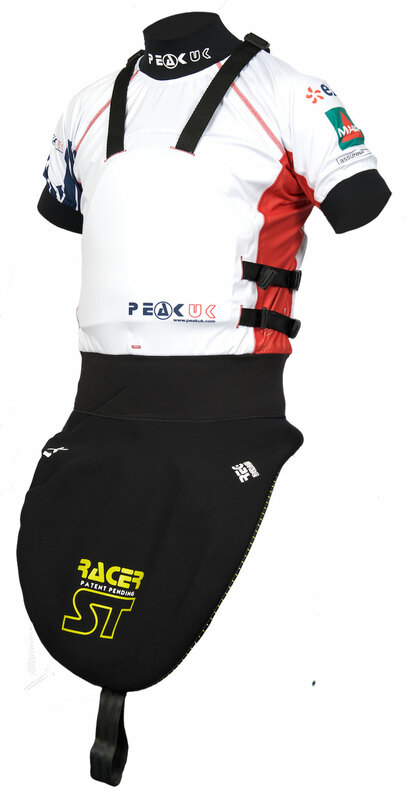 Durable metal zip slider. 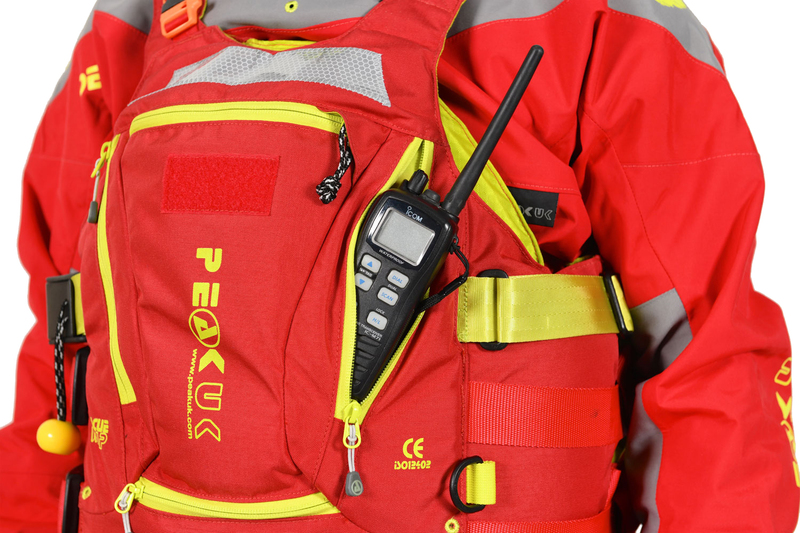 Huge 3D pocket suitable for a radio, with plastic gear clip and durable metal zip slider. 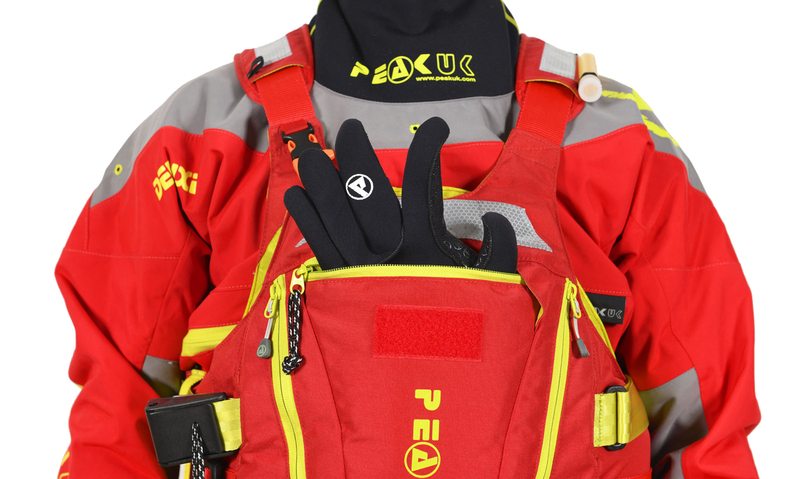 3D pocket specific for gloves, with plastic gear clip & durable metal zip slider. 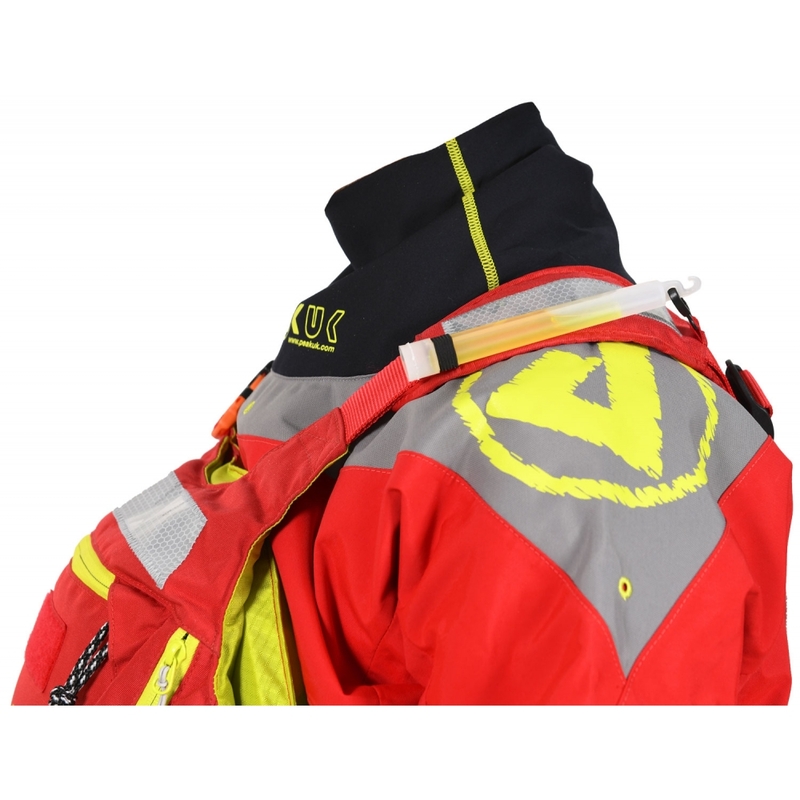 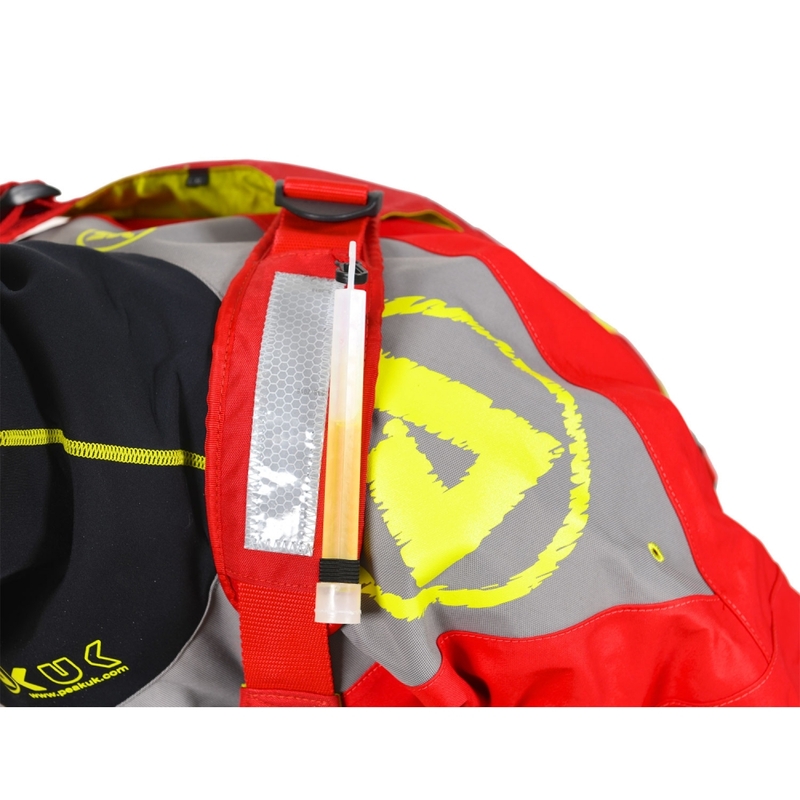 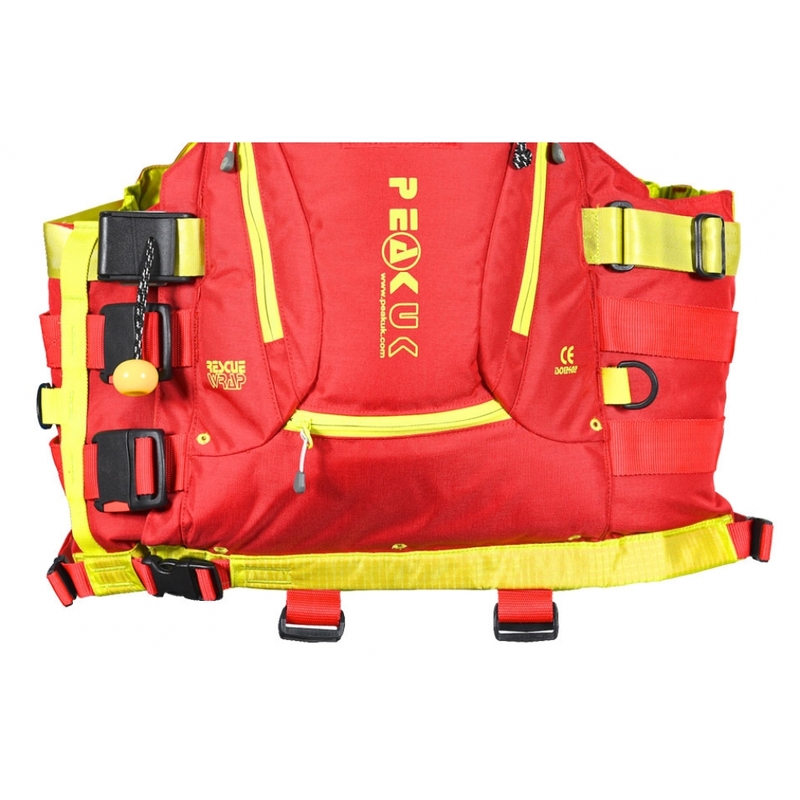 Huge 3D pocket suitable for safety gear, with plastic gear clip & durable metal zip slider. 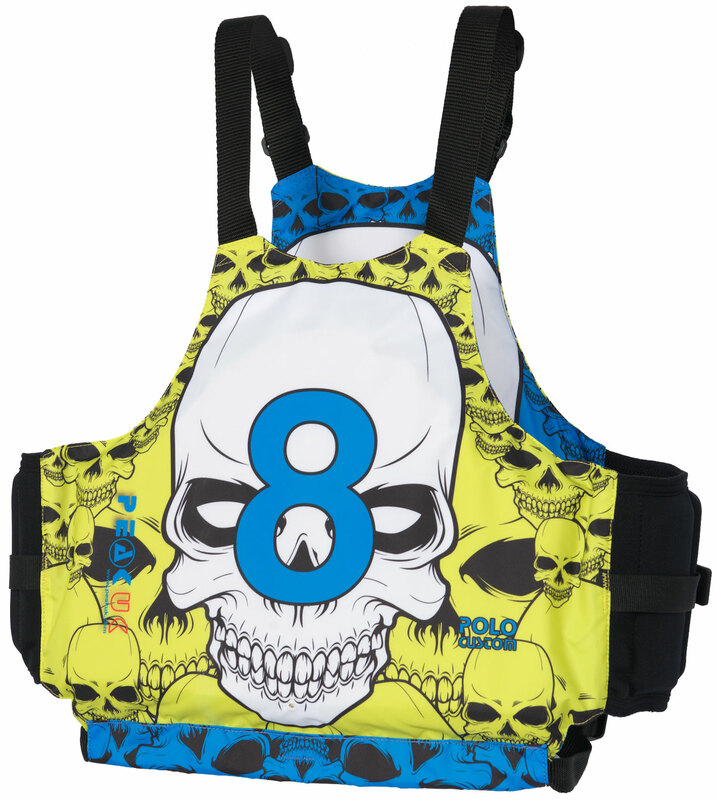 Velcro loop panel for team ID badges. 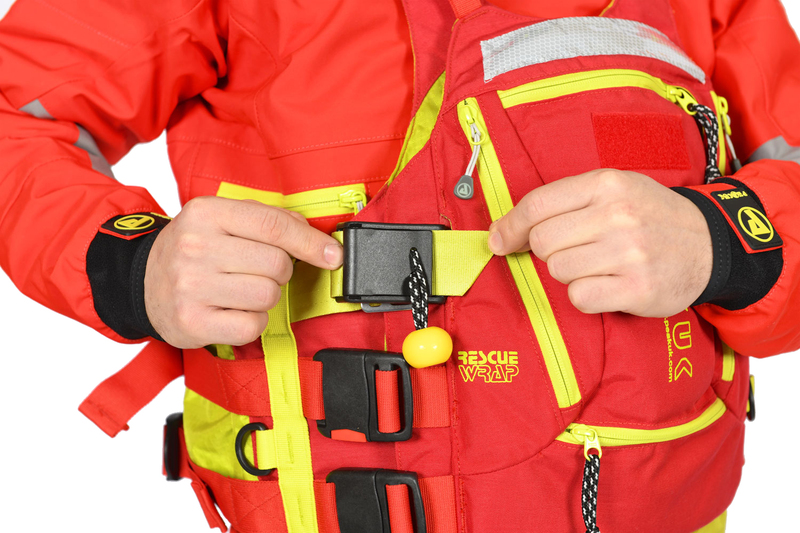 Velcro loop panel for ID or role badges. 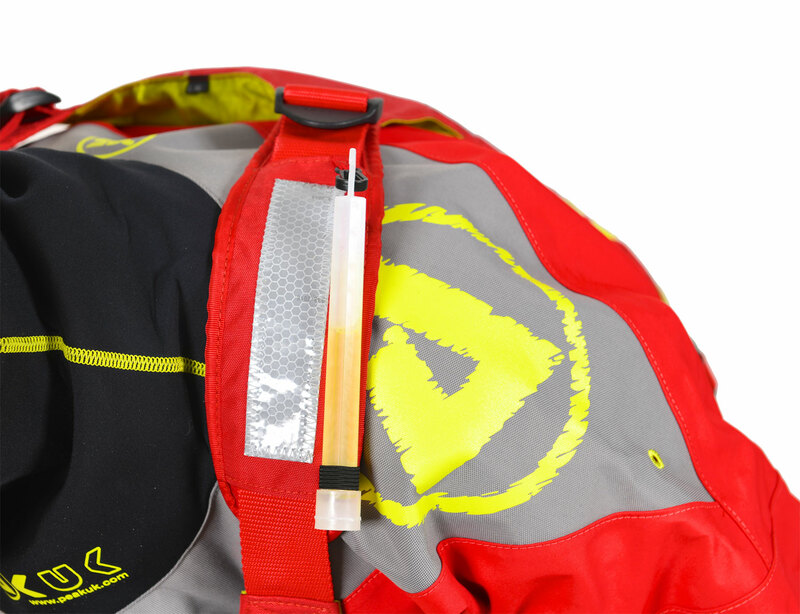 Shoulder mounted plastic gear clip, with elastic loop to house a glowstick. 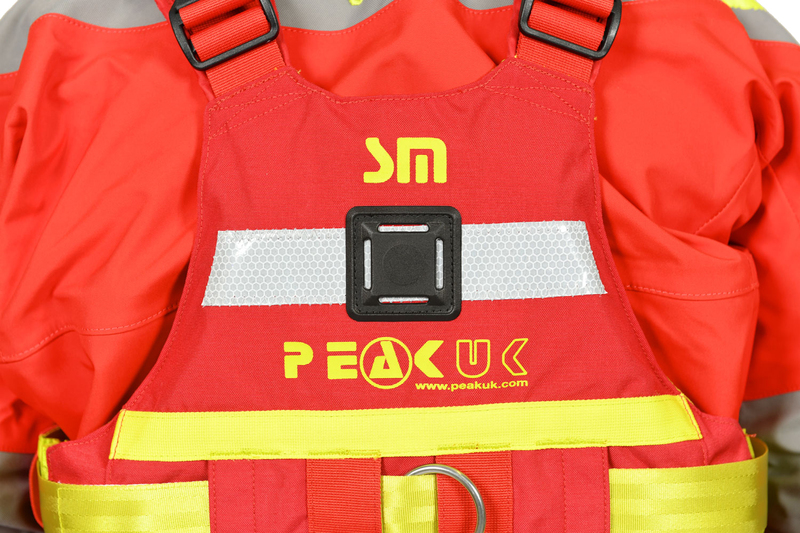 Rear positioned sewn tab for light beacon attachment. 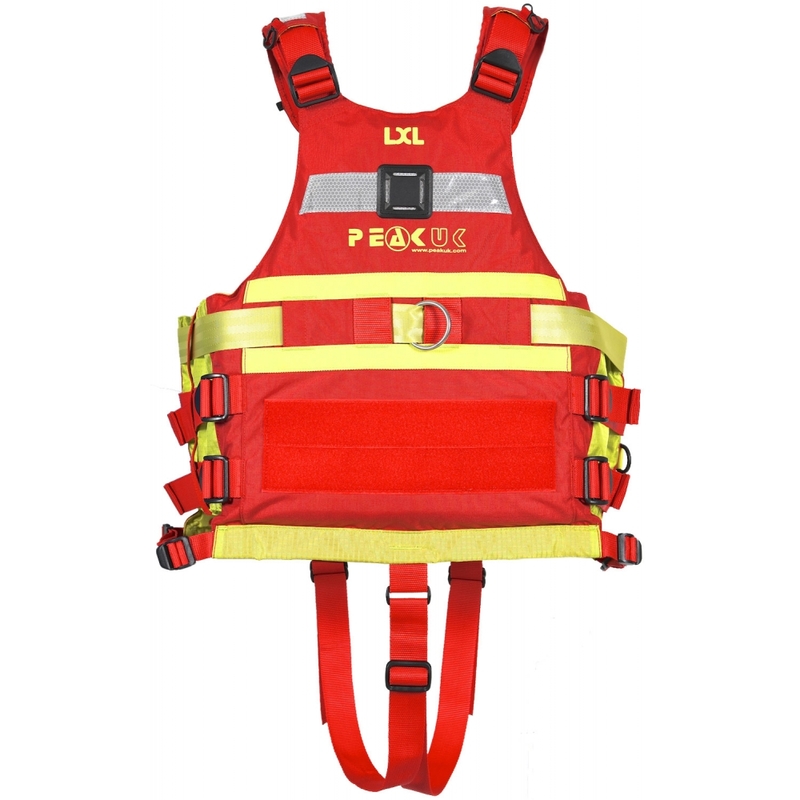 Adjustable length harness for super quick and safe releasing when needed most. 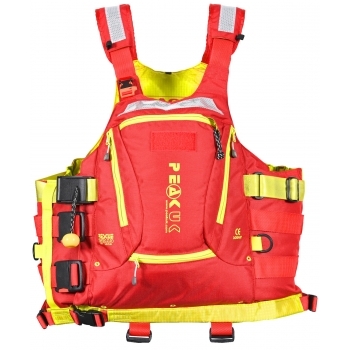 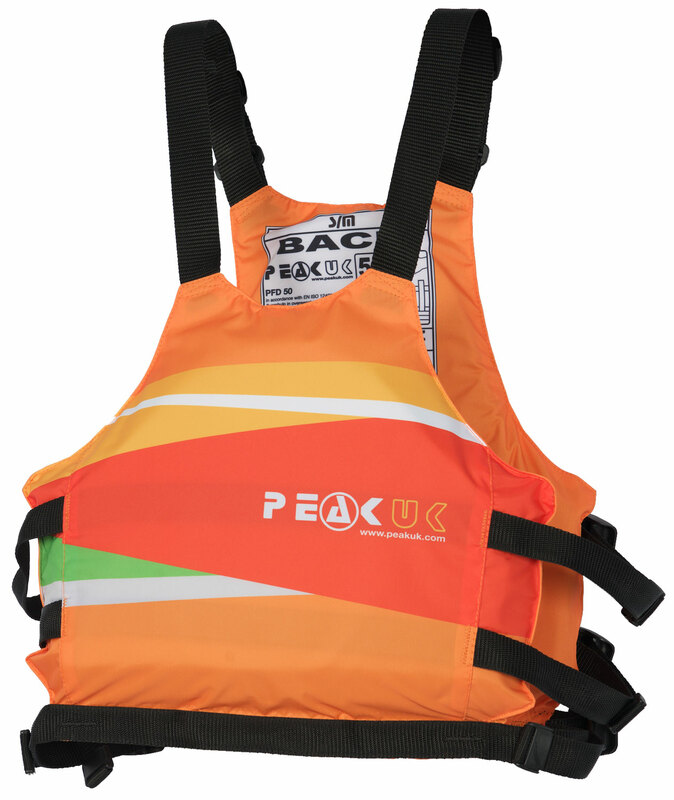 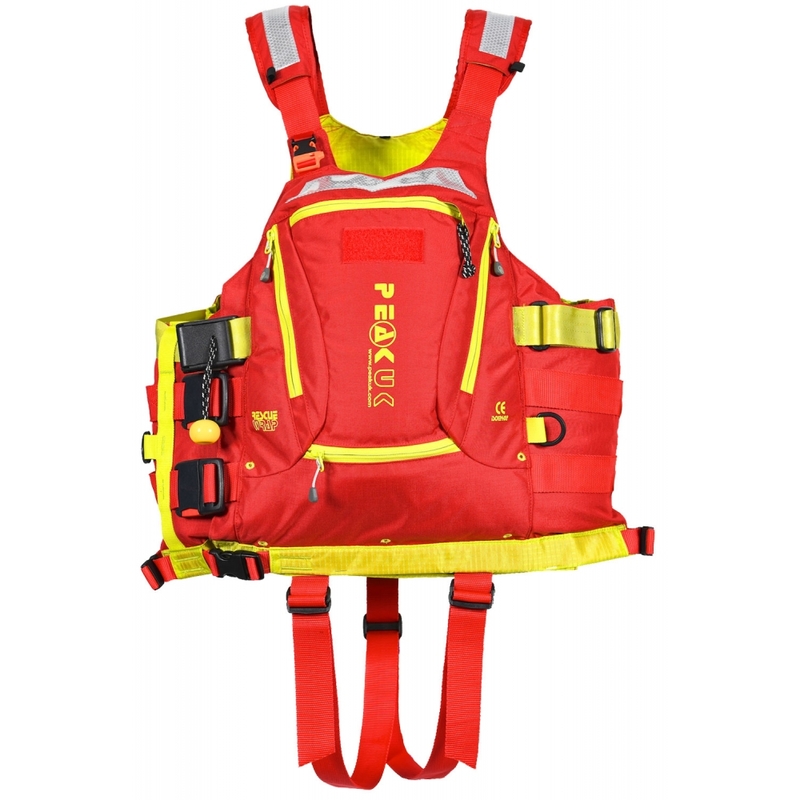 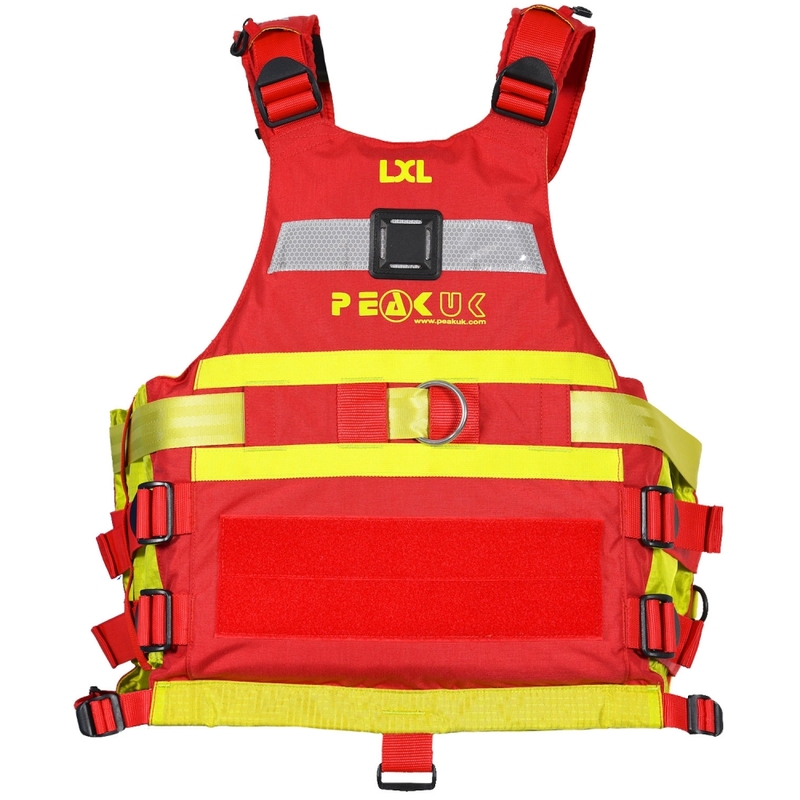 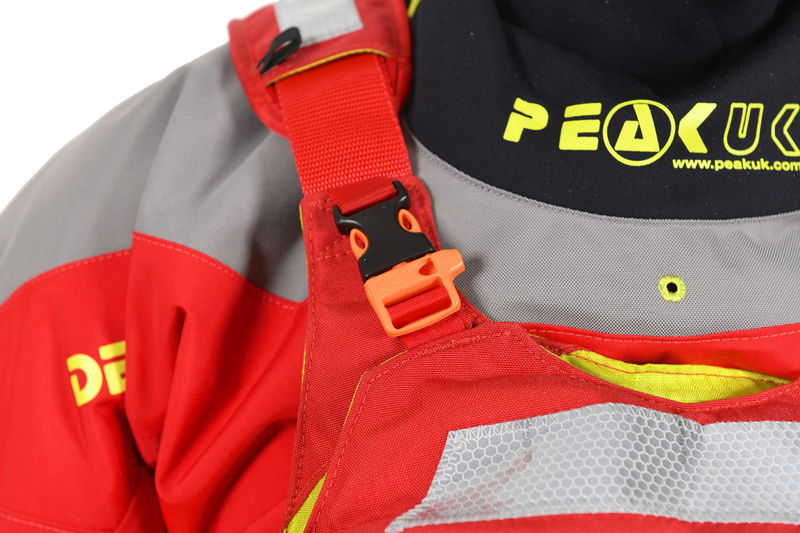 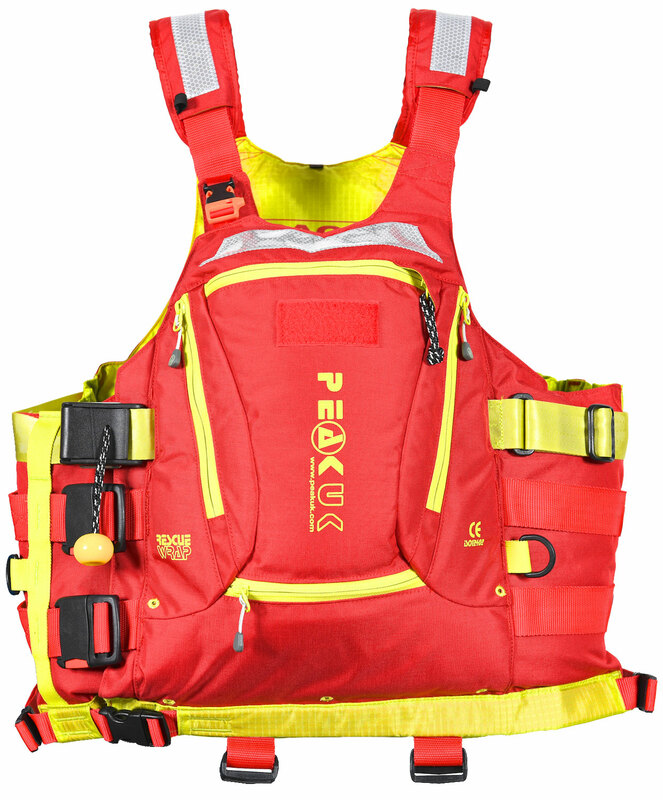 Slim line, removable, adjustable loops to aid a better fitting PFD.